Sorry for being ignorant. I'm crap with social media and stuff. All he seems to say is "Zap Zap"
Even though I'm huge original trilogy fan, I wasn't too exited about these... Until I realised how cool a clean one would look with my AD-AT! From meh to hell yeah in matter of seconds! We need these up for order ASAP! Nothing was mentioned here. Zap Zap must mean exclusives only, or Bamba as well, or possibly something else altogether. Guess we'll never know. So these will be up at Bamba during the Thai Toy show (April 30-May 3rd) or are we going to be left behind on the spice mines of Kessel and not have a chance. Anyway... Stormtrooper TK will look awesome next to it. Nice one gar! Why couldn't I see that? Now then.... Does he mean Bambaland or Bambathailand as the quote says? Is that a Thailand exclusive site or just an Ashism? Wasn't there a DIY one? Darthgothikus wrote: Nice one gar! Why couldn't I see that? I assume it was an Ashism. I thought he meant a Thai Toy expo exclusives Bambaland allotment sale, etc. Chivo wrote: Wasn't there a DIY one? I like the pristine! Can't decide between DIY or Regular. Hopefully we'll get a shot at these on Bamba. Pre-mades or whatever, I'd at least like a chance. I'm digging Ash' take on the elongated helmet with smaller vents. I kind of wish he would do grunt versions. Basically grunt clothing, gloves, boots, etc. all white with black accents. But yeah, I would definitely want my Bamba shot at these. Chivo wrote: I kind of wish he would do grunt versions. Basically grunt clothing, gloves, boots, etc. all white with black accents. But yeah, I would definitely want my Bamba shot at these. Seems that starwars is only for bamba, so relax guys. But i don't know what Ash said on IG that to grab stormy in that toy expo. we need further info for this, does the stormy bambaland only or we can grab another at Thai Expo, the expo is only 3 weeks away. Sorry, but I think it's important, I still planning to buy ticket to thailand, but if we can grab all the exclusive stuffs on bamba, I won't bother to buy ticket, since the ticket on that date is quite expensive (1st may is Worker's day), so I can save more money from buying ticket. 3A will be showcasing and attending the THAILAND TOY EXPO 2015, The Biggest High-End Collectible Toys Event in Thailand! Ashley Wood, Kim, and the 3A crew will be in attendance at the show. Drop by and meet up. Exclusives will be available on site and we’ve set aside an assortment of figures for those unable to attend! 24" WoIP figs are way more affordable than I expected. sometimes the headlines got delay, on issues #3, I got mine 2 hours after my friend. another question, maybe Gregory or Gimby can help to ask Ash. 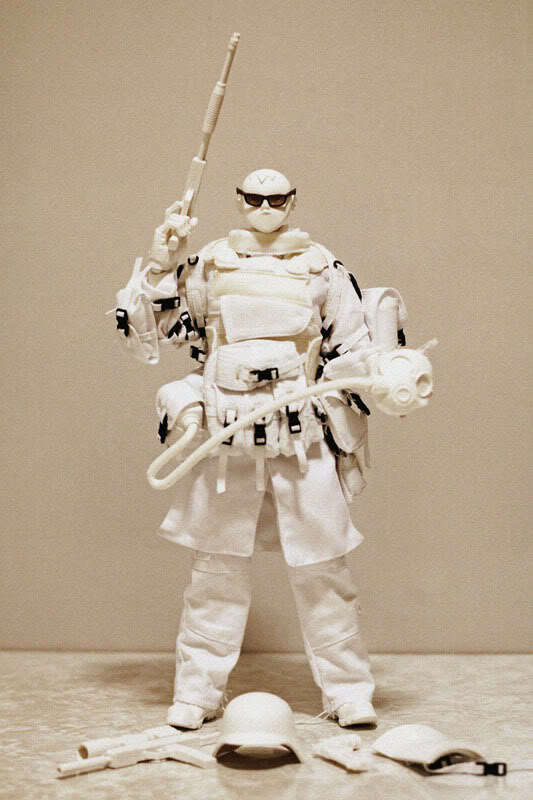 Does the Stormtrooper TK and The Lonely Star Warrior TK is same figure? headlines say Lonely Star Warrior TK is forsale at bambaland, but the boxes which we see on Ash IG said it's "Stormtrooper TK". All 4 versions on sale on Bamba then? counterfeit wrote: sometimes the headlines got delay, on issues #3, I got mine 2 hours after my friend. Yay, appears we will have a chance at these! Dirty please!